I get why many of my friends enjoy coffee. I used to like it too. I haven't drank coffee in about 17 years, but I still use it in certain recipes. Like chocolate. Coffee in chocolate, even if it is the smallest amount, makes the flavor of the cocoa bean stand out. I even have an venison recipe that I will be sharing soon that has coffee. The other morning on a whim I decided to adapt my breakfast sausage recipe. Um...delicious! Just hint of the coffee flavor and the sweetness of the maple was perfection. Really. Mix all of the ingredients together . Form into balls. In a fry pan, preheat over medium. Add four of the sausage balls and allow to cook for about 30 seconds to release some fat so they don't stick. Slightly flatten and then cook until deep golden brown, about 5-7 minutes depending on how big you make them. Turn, flatten again slightly, and then cook until done. 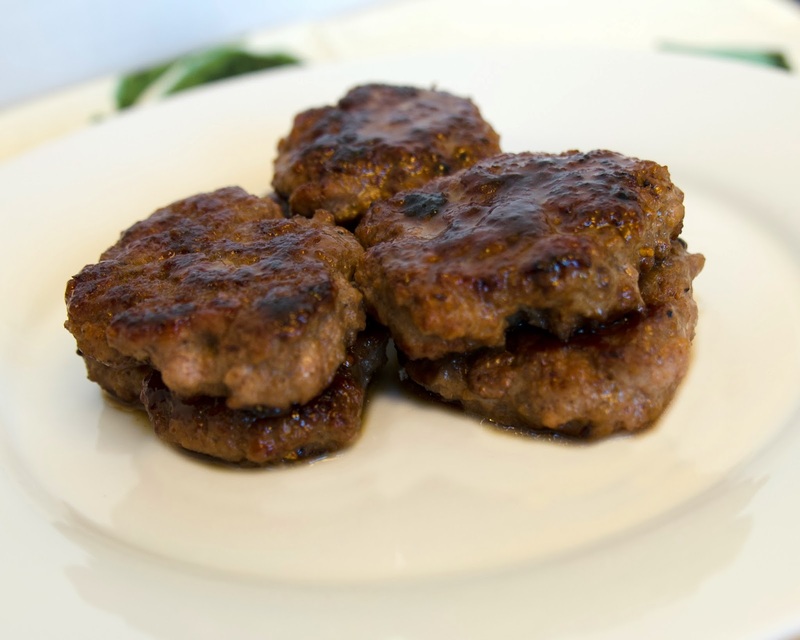 Medium heat works best and this method will yield the perfectly cooked sausage patty!